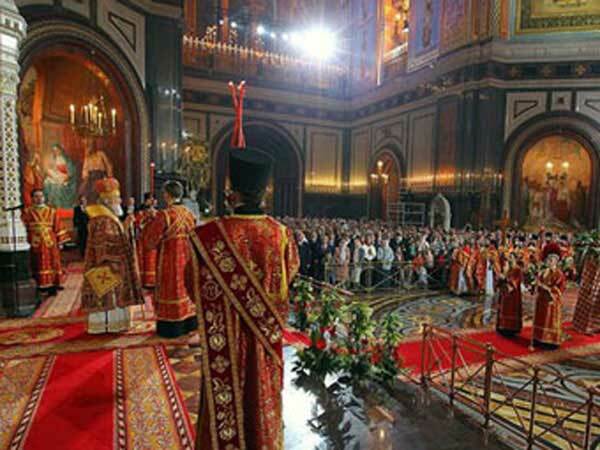 Orthodox Easter service in Cathedral of Christ the Savior in Moscow, Russia. Orthodox Easter for the year 2012 is celebrated/ observed on Sunday, April 15th. The Orthodox Church uses the Julian calendar to determine their holy days. Easter for the Orthodox church will always fall sometime between April 4th and May 8th each year. Sunday, April 15th is the 105 day of the 2012 calendar year with -7 years, -5 days until Orthodox Easter 2012. When is Orthodox Easter 2019? When is Orthodox Easter 2020? When is Orthodox Easter 2021? When is Orthodox Easter 2022?